Another packed hall for the fourth annual near conference at the Kesgrave Conference Centre on Wednesday 17 October 2018. Presentations were given by six distinguished speakers across a range of subjects related to brain injury and neurology, alongside related stalls offering further information. 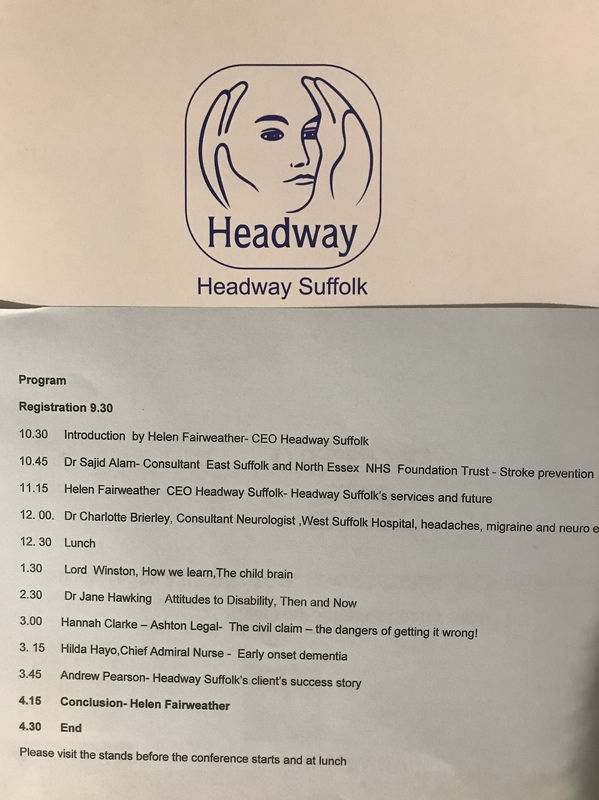 Dr Jane Hawking, Patron of Headway Suffolk, returned for her second conference and spoke about changing attitudes to disability based on the time she cared for her first husband, famed scientist Professor Stephen Hawking. 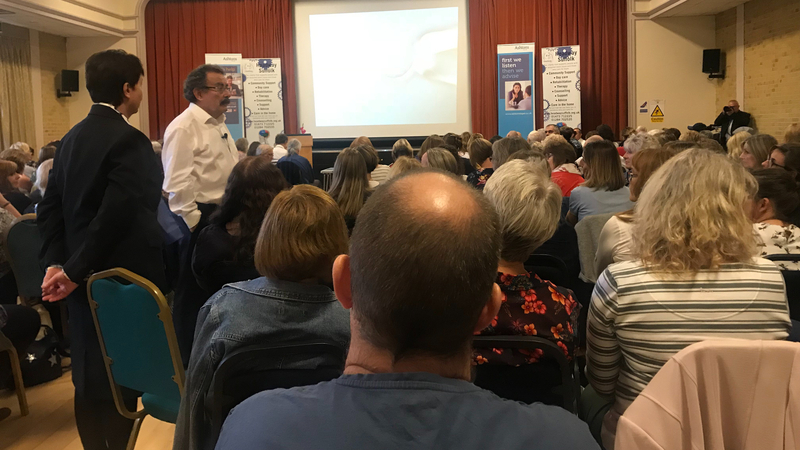 Lord Winston, an internationally-renowned professor gave a captivating talk about the child’s brain and how the human mind works. When asked about Parkinsons Disease he said there were some exciting developments on the horizon, so watch that space! Brainy Dogs caught my attention as something innovative and unique. This partnership between Headway Suffolk, Hollesley Bay Prison and local rescue centres allows prisoners to train rescue dogs for people with neurological conditions. 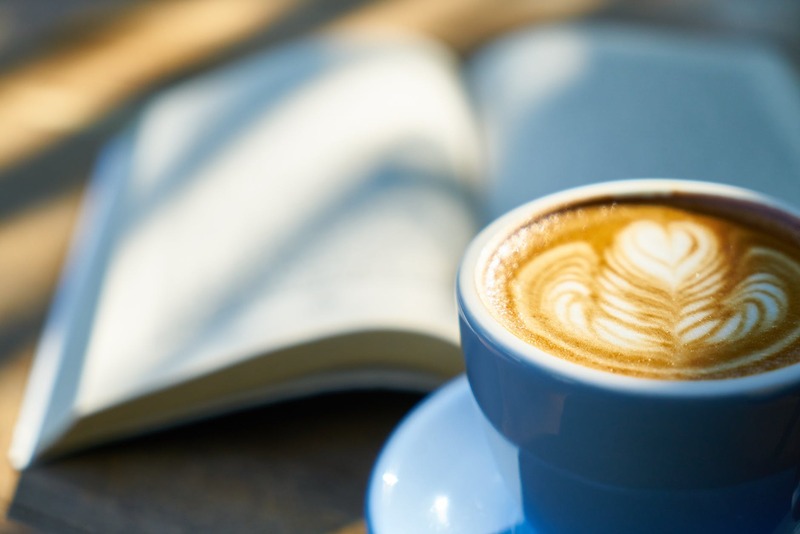 Headway recognised the negative effects that neurological conditions can have on relationships with family and friends, which can lead to people becoming isolated and lonely. The trained dogs will become a loyal companion who will give the owner a reason to get up in the morning as well as a confidence boost in return for non-stop unconditional love. The conference ended with a personal story from Andy Pearson about his incident and the support Headway had given to him and his family, followed by a talk from the sponsors. A very full and informative day. 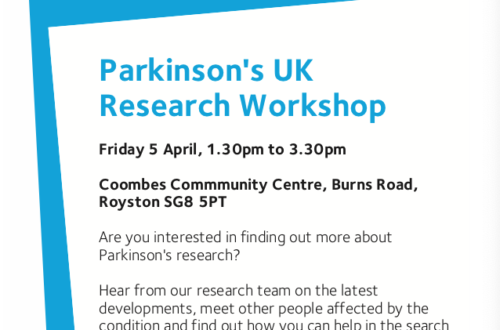 Watch out for details of next years conference, and the possibility of discounted tickets thanks to the support of the local Parkinsons UK Ipswich and East Suffolk Branch.